Appearing in your inbox every other week, TAKE5 gives you an update on the latest Meetings, Incentives and Business Travel related news. It contains short and to the point information on venues, people, happenings, lifestyle and general news that cannot wait to be told! BBT Online guarantees you 15 new ideas in just 3 minutes. Enjoy our 34th edition. Where did 2010 go? Do you share this feeling of time flying by even in an eventful year like 2010? 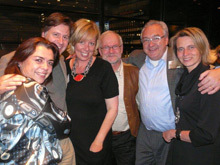 My Team and I wish you all a prosperous and healthy 2011. 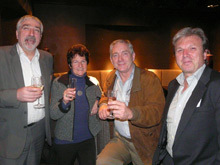 BBT Online starts its 10th year in 2011, another reason to celebrate and look forward to a great year! The Union of National Tourist Offices in Belgium has over 30 member destinations from around the world and each year to assemble for a big media workshop. By popular demand they are adding – for the very first time – a special lunchtime session for Meeting & Incentive Planners. 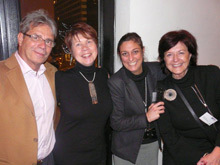 At this Meet the World Workshop buyers get a unique chance to meet the local Belgian market representatives of over 30 different destinations face-to-face and learn more about their individual MICE products. 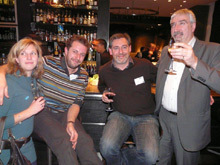 On February 21st at a location yet to be disclosed, BBT Online plans its next workshop for Belgian Incentive Houses! After the roaring success of the first edition, we are sure that this next edition will be as successful. Watch out for your invitation. 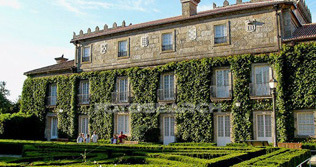 MITM Euromed, the Meetings and Incentives Trade Market takes place in Vigo, Spain from 27 to 29 April 2011 and, just as last year, BBT Online can take 10 Hosted Buyers to Vigo to attend this event. MITM is a 15 years old interactive 1,5 days travel trade market directed to the incentive, meetings and events market, where travel and tourism organizations and companies meet by individual and pre-requested appointments with hosted buyers organizing or contracting incentive trips, meetings, conferences, international congresses and events. There are also post tours available. Interested? 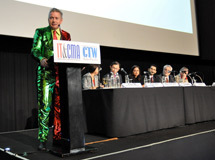 Space is limited so react quickly to info@bbtonline.eu or go for more details to www.mitmeuromed.com. 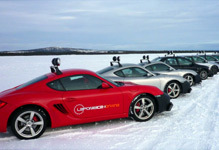 Something out of the ordinary: Ice driving in Lapland! 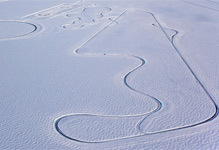 Set up every winter for the exclusive use of ‘Laponie Ice Driving’, the tracks are situated on a 500 acres private estate. Sessions are for groups of maximum 12 persons. Car freaks will definitely get their kicks in this cold landscape. Situated 80 km from the Arctic Circle in the Swedish Great North, the village of Arjeplog is 95 km from the major town of Arvidsjaur (airport). Surrounded by hundreds of lakes, all of them frozen in winter and covered with a layer of ice between 50 and 100 cm thick, Arjeplog is right on the edge of the main lake Hornavan (the longest and deepest lake in Sweden - 220 meters). Nature, the landscapes and the lights will take you into a very special world. What a great way to visit the UK! West Coast Railways has specialized in operating charter trains along some of the UK’s most famous and scenic routes and to many beautiful destinations. In 2011 they are still expanding their network including the very popular one-day and weekend rail tours across thousands of miles of the UK rail network, using classic and modern diesels and historic steam locomotives. Enjoy the comfort of traditional, spacious coaches, welcoming staff and breathtaking vistas! West Coast Railways runs the famous, award winning ‘Jacobite' steam train in Scotland (now in its 26th year) voted Top Rail Journey in The World 2009 and 2010. It also runs the Hogwarth Express known from the Harry Potter movies & books! BCD Travel launches a webinar to help business travelers to better evaluate cultural differences and tips on how to overcome them and thus have easier, more efficient and more fruitful business contacts abroad. For a free look at the webinar, you may learn some interesting facts! 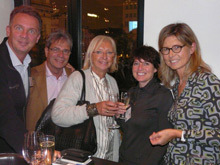 AssistantClub, the strating point for assistants and secretaries, recently launched a new format. 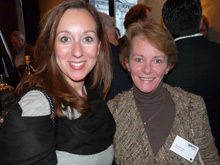 Three goals: to be informative, interactive and networking. Informative: each week a selection of articles – is made and posted on the website. They all pertain to the daily job of an assistant, regularly themes are also elaborated. Interactive: readers can react to all published articles online and of course opinions shared via social media such as Twitter and Facebook. Networking: experiences, know-how, eventual problems and questions can all be shared with other members and as of this year regular networking opportunities will be organized. 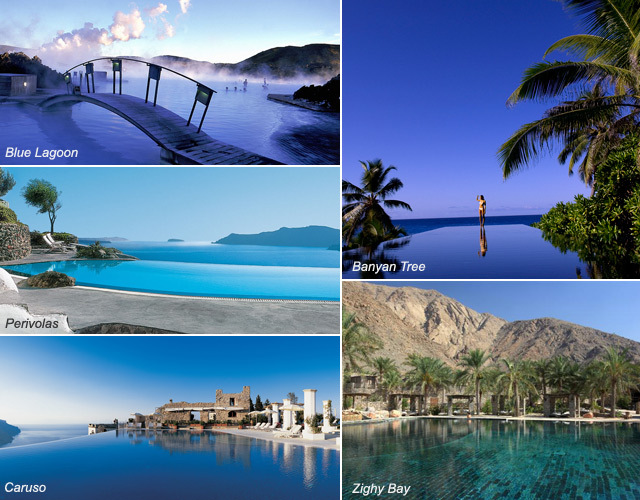 In these days of cold, let’s dream away by the 5 most beautiful hotel pools in the world as selected by Tripadvisor members. Just look at the picture and if you want to know more, click on the name of the hotel for further information. What to say about a city that rarely sleeps, where the latest high rise buildings compete with ancient temples, where thriving markets get as many visitors as the most luxurious shopping malls (if not more), where people are friendly but by now have learned the value of the dollar or the euro? It has been said again and again, Bangkok is an exciting city, if you have never visited Asia, it lessens the cultural shock as you feel you have arrived in Gotham City when you catch your first view on your way in from the airport. It’s when you spend your first minutes in the warm, humid air and smell the exhaust fumes, the river, the canals, the food stalls on the streets, then you realize you are on another continent, in a different world. 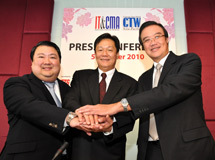 October Bangkok was first and foremost the home city for the 18th edition of the IT&CMA trade show. This show is widely recognized as the premier international MICE show in the Asia-Pacific region. Click here for an interesting read, including a review of some of the main Asian destinations. By Viviane Vogels. 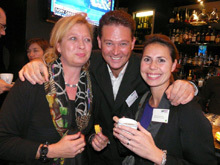 BBT Online’s Club 100 X-mas Networking Party: a good time had by all! What better way to thank all members of BBT Online’s Club 100, than giving them ‘live’ what BBT Online offers all year round online: an opportunity to improve knowledge and to network! 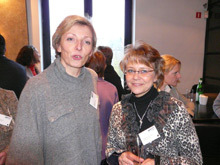 Enough has been said about the weather conditions in December; suffice to say that many members braved icy and snowy conditions to be present at Cospaia in Brussels on December 21st. First for some knowledge gathering: 2 seminars -one on LinkedIn and one on Sustainability-, both very ‘hot’ topics; more on this further. 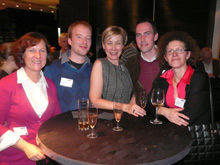 But let’s face it, it was the relaxed atmosphere afterwards during the networking drinks party that really got the party going. Not only did we have the right mix of suppliers and organizers, but somehow the holiday spirit ensured that the conversations were lively, the encounters even fruitful as left and right actual business deals were in the make! The fact that people stayed on, even with treacherous driving conditions making a return trip possibly hazardous, proves that everybody appreciated the format of informal mingling and enjoying good drinks and company. Meet the 4 elements were partner of the evening. Click here to read more on the event together with a few reactions. More info on how to join BBT Online's Club 100. Click here. We are all living in a changing world. It’s becoming more and more important we adapt to our altering environment. This was one of the topics of our first BBT Online Club 100 event. With the world’s natural resources dwindling and water and food supplies getting scarcer, it’s vital to start taking action. 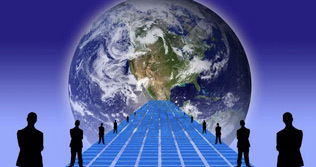 Individuals as well as companies have to become creative in the use of resources. We have to imply certain lifestyle changes (whether they are big or small) and develop a deeper respect for both people and nature. A well-balanced CSR strategy is essential for every organization, including those in our business. 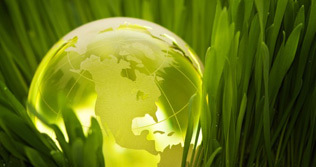 The call for green meetings is becoming louder. It’s not just about applying the rules; it’s about understanding and supporting them. Click here to read more. Our second workshop was about UNICEF – the United Nations Children’s Fund. 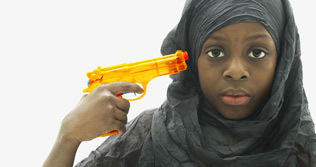 The United Nations Children’s Fund is a neutral organization active in 190 countries (including many of the ‘rogue’ states like North Korea) through country programs and national committees. Its goal is to create a protective environment for every child in the world. It wants to enhance public support for this idea and has six main focus areas. Young child survival and development: in 2007, an estimated 9.2 million children under the age of five died from largely preventable causes worldwide. UNICEF tries to counter this with national vaccination or hygiene programs and the supplying of insecticide-treated bednets. Click here to read more. • The 53rd Salon des Vacances opens its doors at Brussels Expo from 3 to 7 February, Serbia is the guest country this edition. 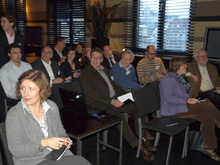 • 15 February: Germany Workshop at Husa President Park Hotel Brussels. • The 4th edition of the Museum Night Fever takes place on February 26th in Brussels. 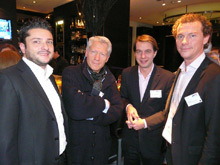 • The 6th edition of the B&B EXPO takes place on the weekend of March 19-20 at Tour & Taxis, Brussels. • AIBTM 2011 www.aibtm.com, the meetings and events industry’s first ever large-scale exhibition taking place in the US (June 21 - 23, 2011, Baltimore), is continuing to attract international exhibitors. • A Carlson Wagonlit Travel research proves that 42% of business travelers are not happy with hygiene standards in hotel rooms; second on the list of complaints are malfunctioning airco systems followed by noisy clients, bad beds and small rooms. • Shopping is by far the most popular activity during city trips followed by a visit to local points of interest such as the Eiffel Tower. It was surprising to see that a visit to a pub or disco ranked higher than museum visits. • Quito was declared First World Heritage Site by the UNESCO 32 years ago. History repeats itself and now Quito was declared American Capital of Culture 2011 by the International Bureau of Cultural Capitals (IBOCC). • @visitbritain is officially the most influential national tourist board on Twitter. • Jaded travellers of the world rejoice, Ukraine is about to offer a whole new tourist destination: Chernobyl. Once the site of the largest ever civilian nuclear disaster, the former reactor will take its place on the tourist trail next year following a decision by the Ukrainian emergency situations ministry. • Behind this link http://www.mpiweb.org/Libraries/Research_and_Reports/FutureWatch2011_ExecSummary.pdf you can find a summary of MPI’s FutureWatch 2011. A full report is available for $299. • The FIFA decision to hold the World championships in Russia in 2018 will make hotel rates go sky-high is predicted. • Kempinski Hotel Dukes' Palace Bruges has been elected best leading 2010 luxury city hotel in Belgium by the World Luxury Hotel Awards. • Valentine arrangements booked in Novotel between 11 and 14 February get a sensual surprise: the 5 senses Valentine’s surprise box. • Businesses will remain reluctant to upgrade staff to premium class despite the improving global economic outlook, warns the Civil Aviation Authority. Companies that cut staff travel budgets during the downturn are unlikely to reverse this trend as they have become accustomed to the associated cost-savings. • Miami and Havana will be new destinations for KLM in 2011 as Martinair is downsizing its passenger traffic. KLM takes over the Martinair schedule from summer onwards. • Dominique Raguis has joined Tellus in a commercial capacity. • During the Site International Conference in Cape Town, South Africa, the association bestowed its highest individual award — Site Member of the Year — to Madam Gu Xiaoyuan, Deputy Director-General of BTA and Site China Chapter President. • VLM Airlines announces the departure of ceo Johan Vanneste. 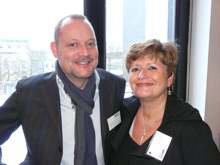 He is succeeded by Christine Ourmières, new ceo of VLM Airlines and CityJet. • Peter Muylaert, is the new commercial manager of the Brussels Airport Company; he joins from the position of vice-president business development & real estate at Delhaize Belgium. • Laughing is good for you! Click here for some really funny moments.